My love affair with comics began at a tender age — so young that I cannot recall exactly when I picked up my first comic book. I do, however, remember what it started with — Archie Comics. Archie Comics played a strong role in my growing up years and continue to be a dear friend. My two elder sisters were also fans of the series and a trip to the bookshop or a book fair would usually include the purchase of a comic book (or two, or three). I also read other comic titles such as Bananaman, Garfield, Asterix, Tintin, Beano — later Calvin and Hobbes, which also became a firm favourite — and whatever comic strips were in the newspapers but I still ended up going back to Archie at the end of the day. As an adult, however, the affair with the comic book world became more of a guilty pleasure because, after all, “it’s kiddie stuff”. Like many others, I thought that comics consisted of Archie and superhero stories — and a few other smaller titles that came out in the papers. That is, until I was introduced to a whole other side of the genre. The Oxford dictionary defines a comic as “a magazine, especially for children, that tells stories through pictures” and is synonymous with the term “the funnies” (which refers to the section of the newspaper where there are several comic strips). 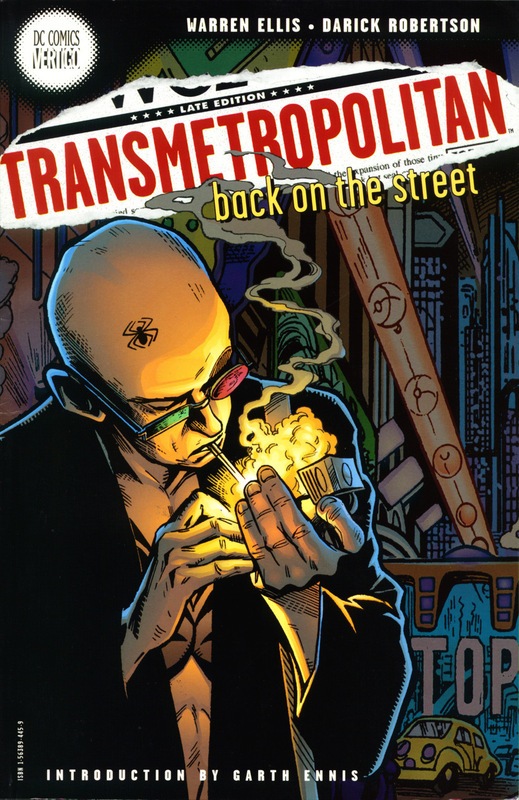 Spider Jerusalem tells it like it is as a gonzo journalist fighting for truth and justice in Transmetropolitan. Marketers have tried to make a distinction between the comics children read and the ones adults read by calling them “graphic novels” — but, really, they are all comic books. So, no offence to the good people behind the dictionary mentioned earlier, but I would simply say that a comic is a story (which includes those not meant for children’s eyes or ears) that is told through pictures. 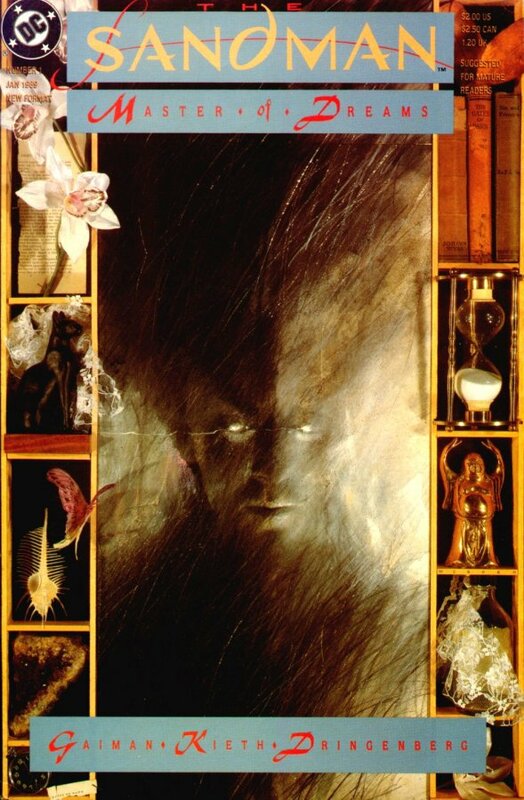 I first became acquainted with this alternative world when my husband Aref, in our early dating years, loaned me a copy of The Doll’s House, the second trade paperback of Gaiman’s The Sandman series. 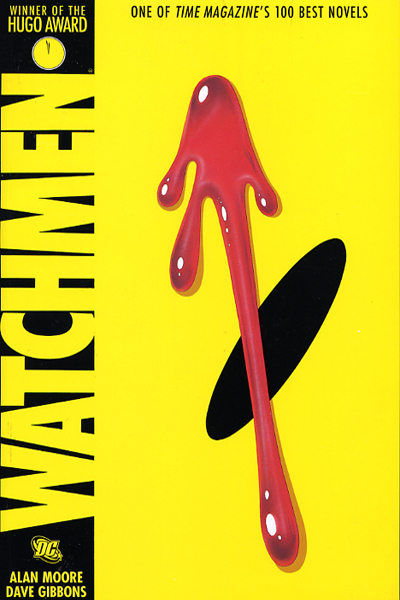 A secret world of great stories hide in the pages of these comic books and many others. I read the book from cover to cover in record time…and then re-read it immediately at a slower pace to take in the beauty of the art and poetry of the words. From there, I quickly sought the rest of the series and devoured them from stunning start to epic finish. 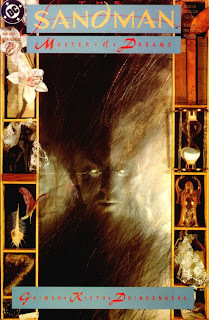 The visuals and stories stayed with me long after putting the books down and the characters lived on in my dreams for many nights after. Never had I imagined comics would provide anything other than light comedic relief much less have me pondering questions of morality, identity and reality, among others. It was then that I realised that comics are more than the light entertainment of my childhood; they are simply a different way of telling tales. Comics tell stories through pictures - no matter how painful - as Marjane Satrapi's autobiographical Persepolis can attest. Sure, superhero accounts and manga occupy most of the shelf space in the comic book section of bookstores by there are many other narratives waiting to be picked up and read (there are even gems in the sphere of these genres). 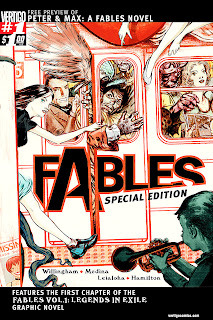 Like its non-illustrated cousins, there are several types of stories told through comics — fantasy, science fiction, drama, horror, action, thriller, biography, historical…you get what I mean. Names such as Neil Gaiman, Warren Ellis and Brian K. Vaughan (whose titles — The Sandman, Transmetropolitan and Y: The Last Man, respectively — I go back to time and time again) as well as Alan Moore, Will Eisner and Frank Miller (whose works are among the must-read for any comic fan) have become synonymous with great storytelling. It is interesting to see how many ideas from comics have been adapted into television series or movies over the years. 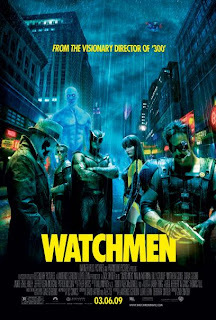 Aside from the obvious ones featuring well-known superheroes — Superman, Batman, Spider-Man and The Hulk, to name a few — you also have the likes of very-much-inferior-to-the-actual-comic-book-movie-adaptations such as V for Vendetta, From Hell, Watchmen (which is, interestingly, a deconstruction of the superhero story), Sin City and 300 (a comic series which was inspired by 1962 film, The 300 Spartans, and was adapted into a movie, 300, in 2007). While it may have looked stylish and the actors looked like the original characters, this movie did not have anything on the comic book. In recent years, stories from the non-illustrated categories have been reimagined in the comic world (Jane Austen’s Pride and Prejudice comes to mind). Archie remains a nostalgic friend to turn to once in a while but for a good read on a lazy afternoon, one of the more complex stories in the comic book realm is immensely more satisfying. 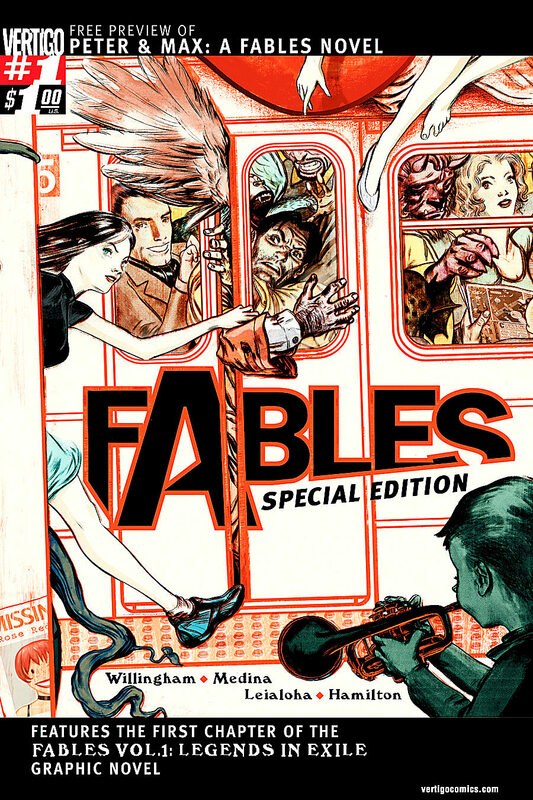 This is in no way a "best of" or a "how to" list (those are always subjective anyway) but simply an introduction to some comics series that might appeal to the adult in us who wants a stimulating read and the child in us who likes looking at pictures. — This series chronicles the adventures of Dream (one of the Endless), who rules over the world of dreams. — This dystopian science fiction series examines the question of what were to happen if every male mammal (save one man and his pet monkey) were to die simultaneously. 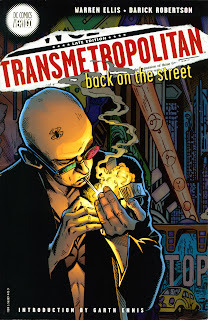 — A tale of the battles of Spider Jerusalem, infamous renegade gonzo journalist of the future, an homage to gonzo journalism founder Hunter S. Thompson. — The story of “two girls and a guy who gets to know them” that won awards and attracted women as well as non-comic readers when it debuted in the early 1990s. — A new spin to well-known fairy-tale characters who have been forced out of their Homelands and are living in modern-day New York. 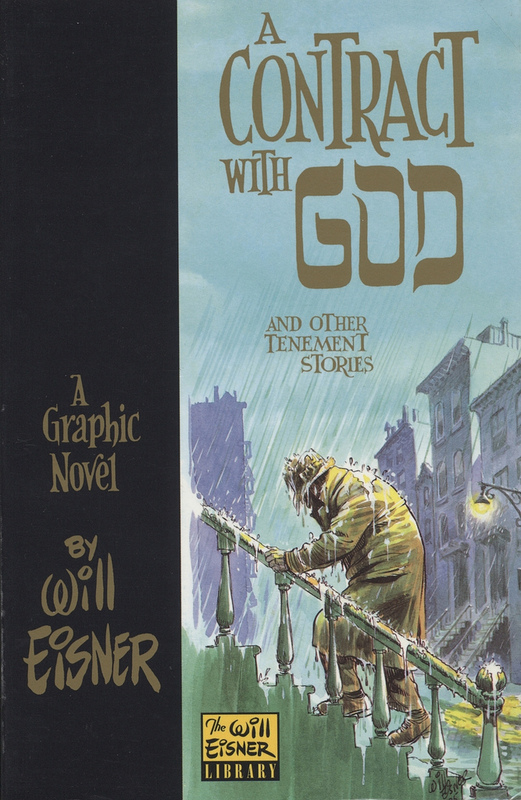 — The work consists of four short stories all set in a Bronx tenement in the 1930s; one of the landmark works that showed comics as a form of literature. 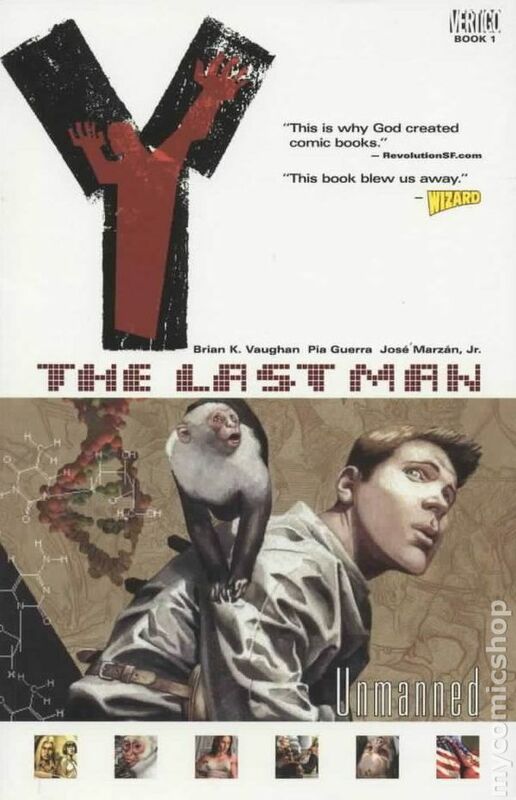 — This comic series depicts an alternate reality where superheroes exist and how their existence have changed real-world events such as the Vietnam War.